Have you ever wondered about how Corel chooses a Painter Master? You are not alone. Previously, the selection process was somewhat clouded in mystery…meaning I wasn’t sure what the process was myself. But now the process is open; anyone can become a Corel Painter Master 2016 by applying. Click here for the Application for Corel Painter Master 2016. If interested, do apply. 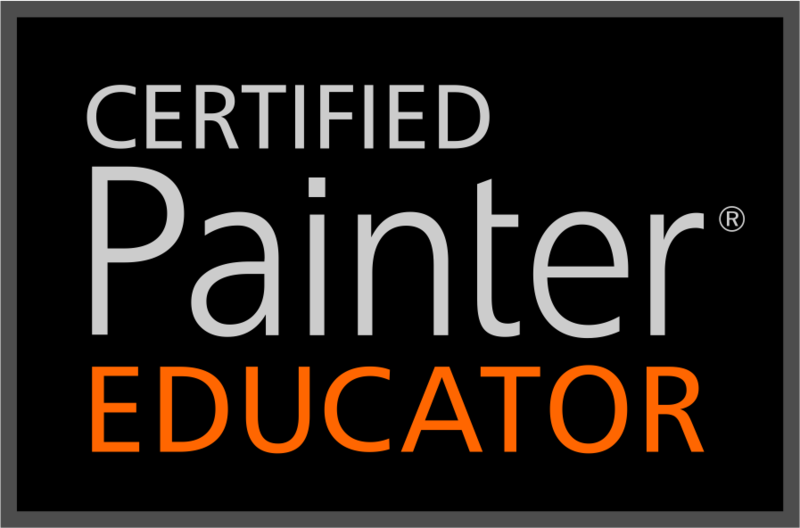 I can tell you my experience being a Corel Master Painter Elite has been rewarding and so much fun. And, there are a bunch of benefits. Take a look at the link I provided and check out the entitlements. Of course, there are obligations, too, but they are enjoyable and benefit your marketing efforts. Make your application today. Wacom released a new driver for Macs on 9 Nov 2015. I am unsure what is new, but I imagine more stuff for El Capitan. I am hoping to see a release for PCs soon, too. There was a windows update last night and this morning I had trouble booting my machine. After contacting Microsoft, which wasn’t helpful…sigh, I contacted Alienware support and they were able to get me up and running. However, I could only boot up if my Cintiq HD 24″ Touch was not connected. All is fine if I have the Cintiq turned off during boot up and turn it on after all is up and running. This isn’t a major problem, but it is a bit annoying. So I do hope there is a new driver for PCs coming soon. I should tell you the last driver released on 8 Oct 2015 fixed the issues with names for the On-screen controls (Radial Menu). I blogged about the problem a few posts back. I was so excited about the fix because it makes using the function so easy; before it was difficult to find commands. OK…Mac users, you can download the latest driver if you want. Don’t forget Holiday Open Studio begins Saturday, 14 Nov 2015. Hope to see everyone there.